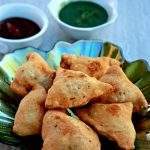 A delicious Savory snack made with mashed potato and chickpea flour / besan. 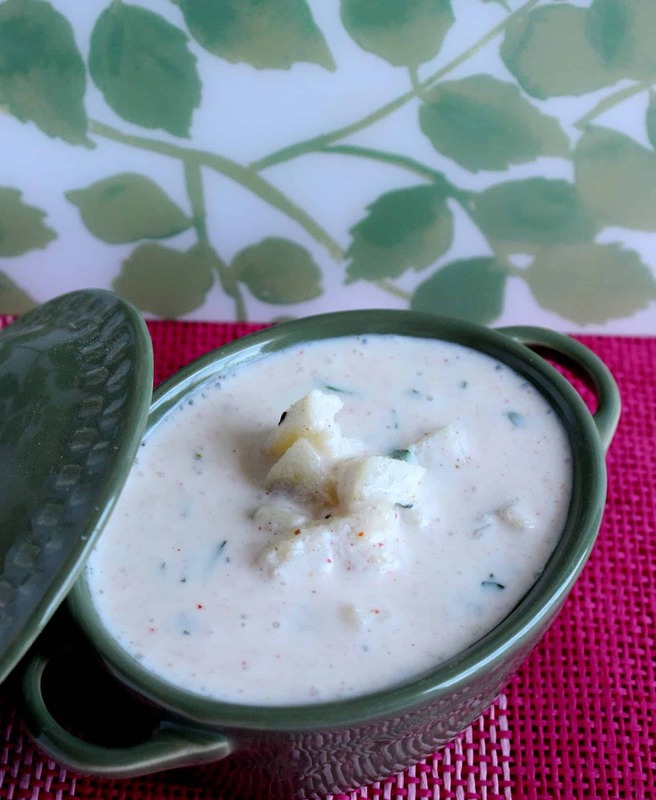 A perfect savory snack to make for this festival season. After the A to Z International Flatbread series, I am back to the routine BM and my theme for this week is sweet and savories for the festival season. 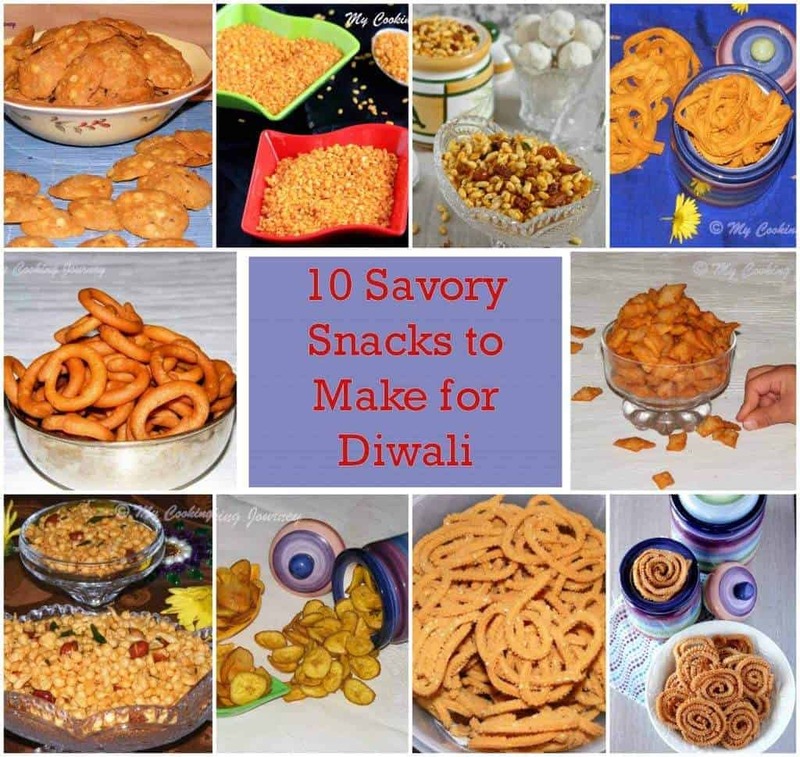 Navarathri and Diwali is coming soon and I thought this will be a great time to make some new sweets and snacks for the season. 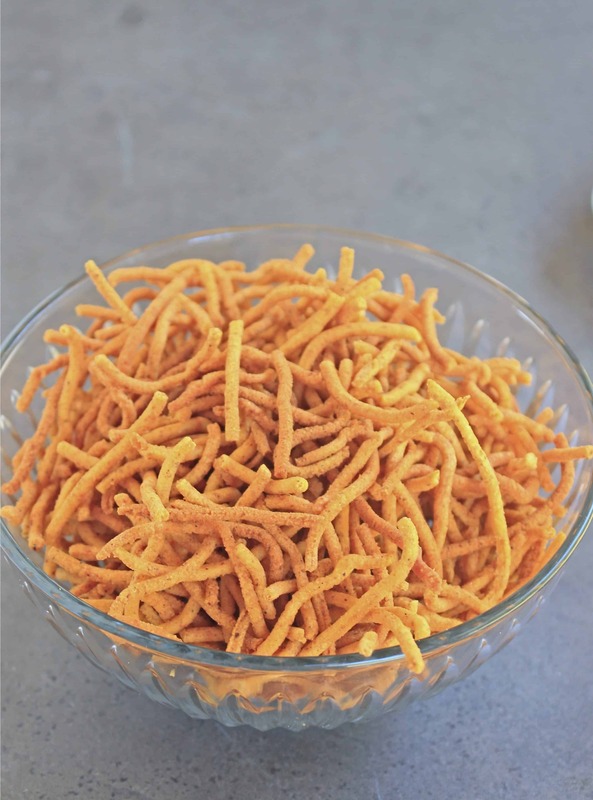 Aloo Bhujia | Potato and Gram flour Sev, is my first recipe for the theme. 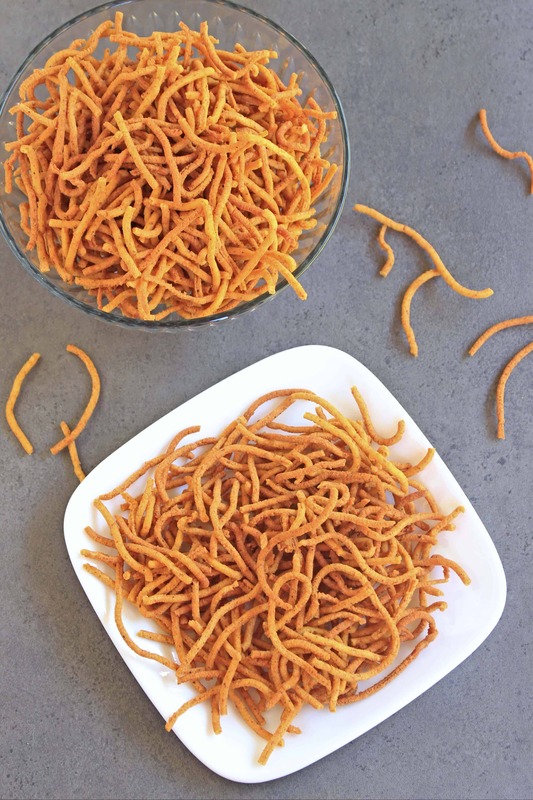 Aloo Bhujia | Potato and Gram flour Sev is something that I have been wanting to make for a while. I have always enjoyed this when I grew up in Northern India and loved the tangy flavor of the bhujia. 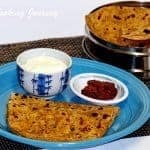 It is quite different from the South Indian Kara sev or oma podi which is what we routinely make and eat in our house. 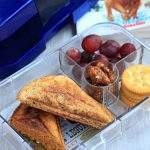 Using cooked potato in this this snack was very intriguing for me and I wanted to try it. 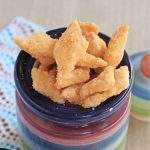 The recipe is very simple and is such a tasty snack. You could adjust the spices based on your preference. 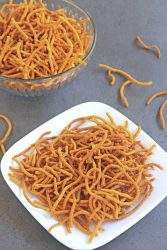 I have used chaat masala in the dough but I have seen some people sprinkle on the fried bhujia instead of adding it to the dough. I feel the flavor is better incorporated when I mixed it with the dough. Boil the potatoes until they are very soft and then mash it as fine as possible. I peeled the skin of the potato and then cubed it and boiled it in water until it is very tender. Then I mashed it until it is a very soft. In another bowl, sieve the gram flour / besan to get rid of any lumps. Add the dry masala powders (red chili powder, amchur powder, garam masala, asafetida and chaat masala) to the sieved flour. Also add the salt to the mixture. 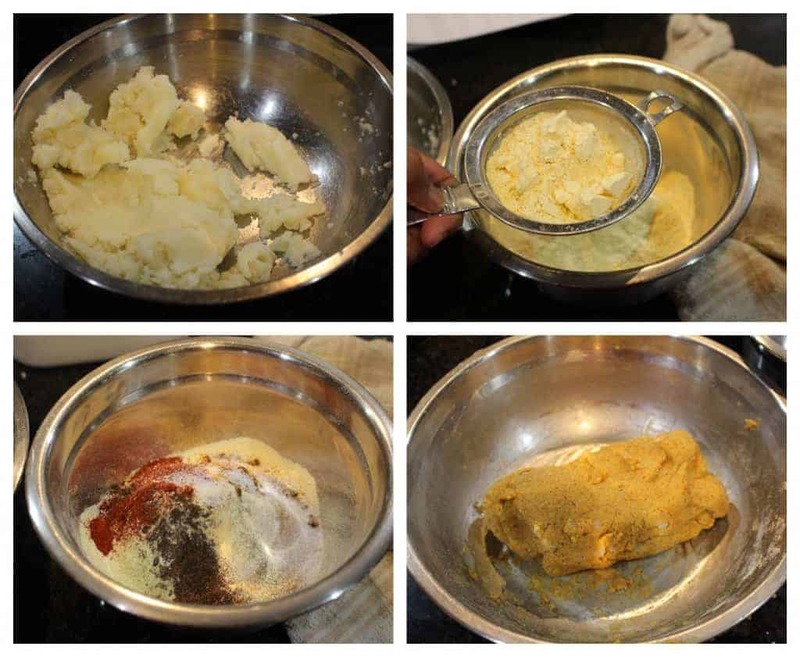 You could either add the chaat masala in the dough itself or sprinkle it on top after the sev is fried. I like to add it to the dough as I feel the flavor is much better that way. Now add the flour and spices mixture to the mashed potato and start kneading the dough slowly. It will appear a little crumbly at first but will slowly start to come together. I did not need any water to make the dough, but if your appear too crumbly, sprinkle a little water and form a dough. Make sure that the dough is not too soft or too stiff. 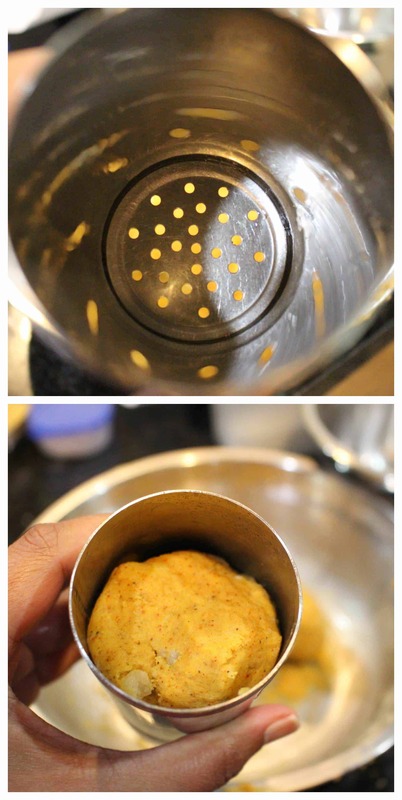 Grease the chakli /murukku maker well and also grease the sev plate with small holes. I used not the tiniest hole one, but the one with a slightly larger hole. Heat a wide and deep pan with oil to deep fry the Aloo Bhujia. 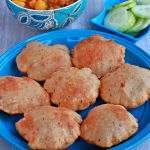 Divide the dough and use enough to go inside the chakli maker. 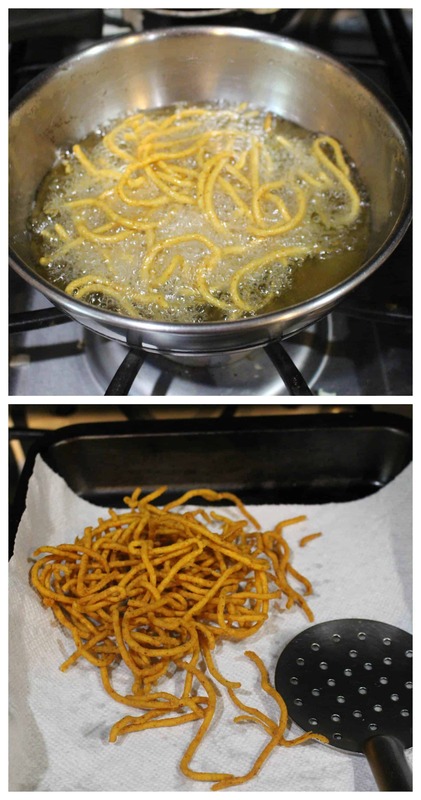 Follow the instructions and squeeze the sev directly into the hot oil. Reduce the flame to medium low and let it cook on both sides until it is golden brown. Drain the aloo bhujia in a paper towel lined tray. Once it cools down to room temperature, break it into pieces and store it in a air tight container. 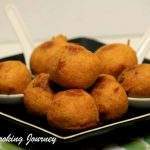 It has been a while since I indulged in deep fried snack and your pictures are tempting me a lot. I have tasted the store bough aloo bhujia, but never tried at home. The recipe sounds easier. If possible, I will make this for diwali. The store bought aloo bhujiya is a constant in my pantry. My little one loves it with her lunch. I never thought to make it at home :). You have done a superb job with it. 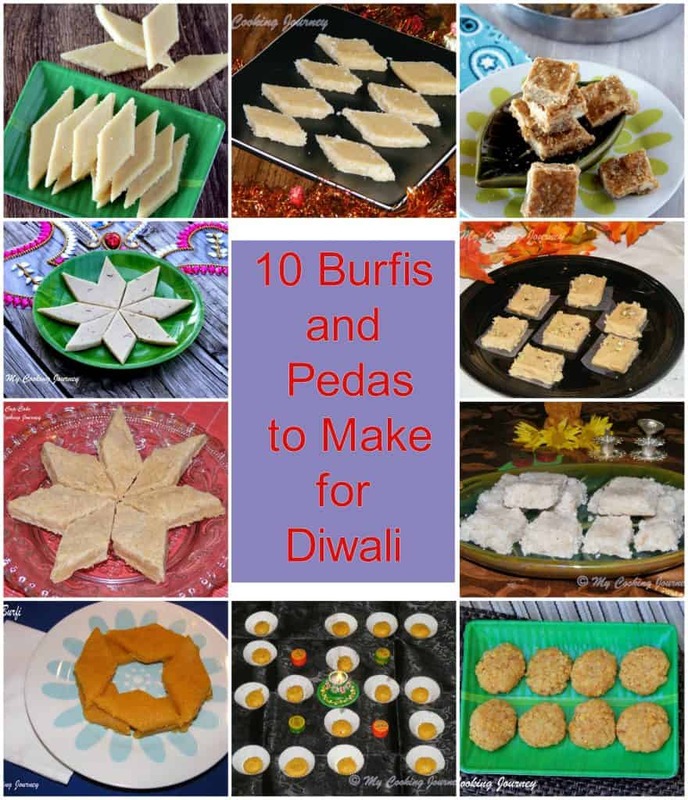 The bhujias looks so tempting! I am sure if I make these I would eat them up as they come out of the frying pan! How dangerously addictive these aloo bhujias na, i can have a huge bowl of this sev without any fuss, my all time favourite.. You have made them prefectly Sandhya.. Lovely collections of Diwalis sweets n savouries. What a yummy snack Sandhya and one of my favorite too! Yours have come out so well and looks so inviting. And I need to check out your festive recipe collection. The peda/ barfi pics in the collage are awesome! 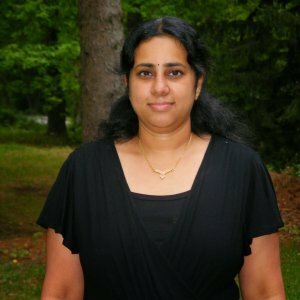 The sev looks perfectly made, Sandhya. 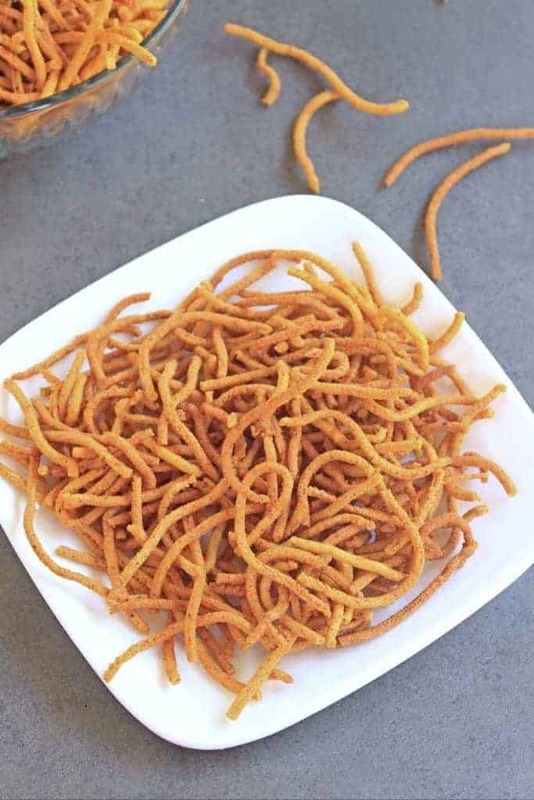 Crunchy and crispy sev in all forms tastes awesome. Aloo bhujiya is loved by all in the family, but the thought of making it home never crossed my mind. Your bhujiya looks perfect. I’ll too try to make it now. 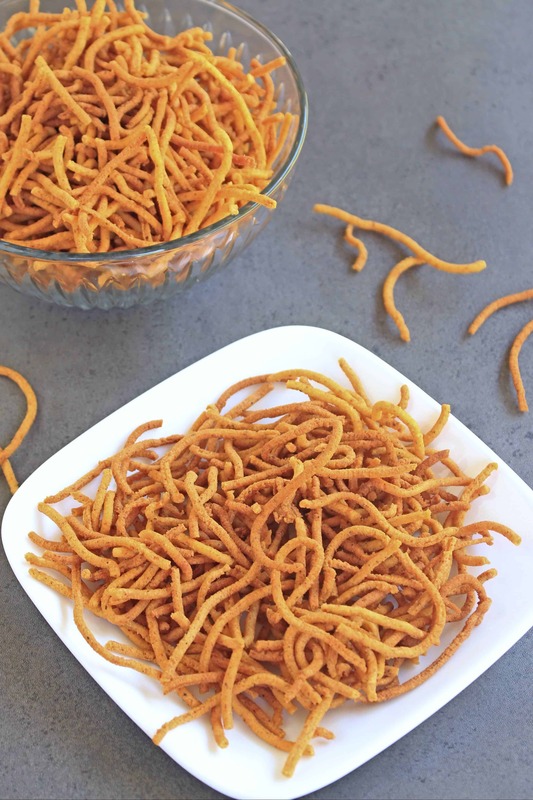 Sandhya, that sev looks so sinful, I want this right now yaar!..you have surely done this so well.Wonderful share and I am sure everybody would love to snack on this! 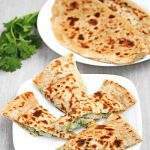 Your aloo bhujia look so crispy and inviting. Perfect tea time snack. Love your amazing Diwali treats Sandhya. 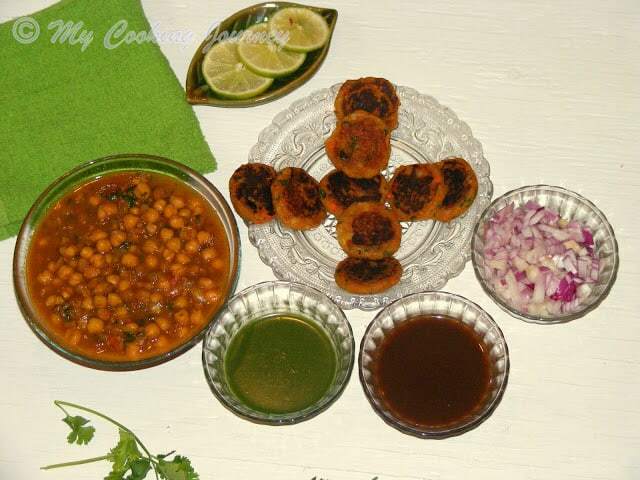 Wow would love to try this combination of aloo and gram flour. Always make it using gram flour. This looks so yummy, would love to have this with some tea. I m so tempted by all the diwali snacks in my FB feed and insta!!! 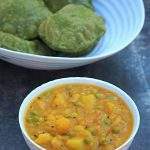 aloo bhujia is our favorite one, i just want to grab a bowl for me from the picture, looks perfect, all we need is a cup of tea!! !